Product code: 390 Categories: Sold Items, Sold Jewellery. 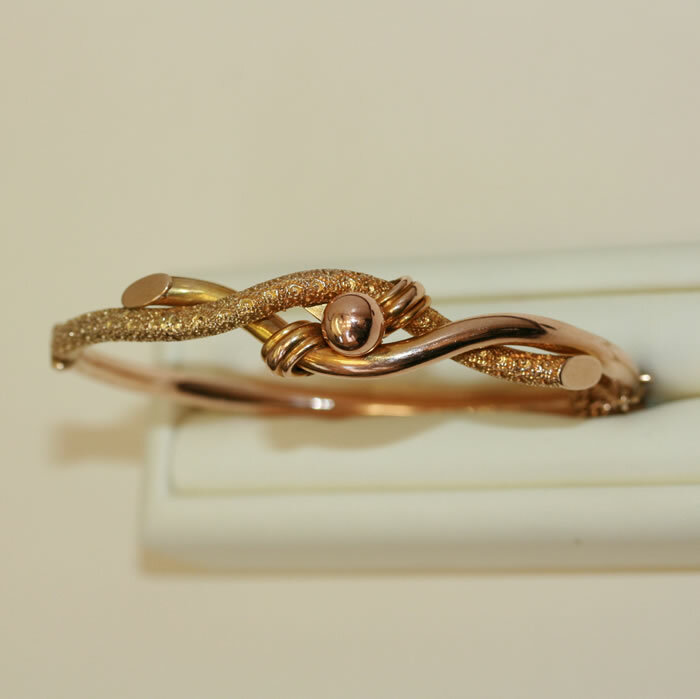 Made in 9ct both rose and yellow gold, this lovley antique hinged bangle is made in a twisted knot design. In superb condition, it is a design that can fit in perfectly with both modern and antique jewellery.